The son of Russian businessman Nikolai Doroshenko on Tuesday denied that his father was in hiding to avoid charges related to a dispute with his archrival, fugitive oligarch Sergei Polonsky, over four islands off the coast of Sihanoukville. 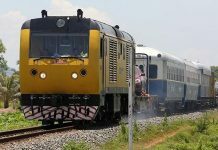 On Monday, Kol Phally, deputy police chief of Preah Sihanouk province, said Mr. Doroshenko, 54, was evading local authorities. “He is hiding from us,” he said at the time. 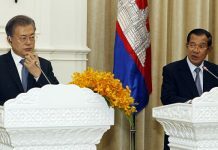 On Tuesday, however, Ostap Doroshenko—who holds Cambodian citizenship and is a captain in the provincial immigration police force—said his father was not attempting to keep his whereabouts secret. “My father [did] not run away anywhere and no police are searching for him,” he said. “Every day, my father stays at Snake House for breakfast and goes to the hill,” he added, referring to his family’s restaurant and an apartment development on Sihanoukville’s Victory Hill, respectively. Ostap Doroshenko said reports that his father was hiding from police had embarrassed his family. The younger Doroshenko said he paid a visit to Mr. Phally on Tuesday to ask him about his claim that his father was in hiding and that the police official told him he never said any such thing. Contacted later Tuesday, Mr. Phally said: “I don’t know any foreigners,” and declined to comment further. Ostap Doroshenko also denied that his father was guilty of breach of trust, as charged in a December 23 provincial court decision signed by deputy prosecutor Huot Vichet. The decision says that Nikolai Doroshenko did not hand over investment licenses for four islands to Mr. Polonsky, in violation of a contract signed in March, and ordered that he be provisionally detained. Mr. Polonsky, 42, whose success as a property developer made him one of the richest men in Russia in the 2000s, is wanted in Moscow on multimillion-dollar embezzlement charges. 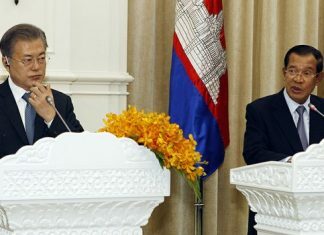 Cambodia’s courts have repeatedly rejected requests for his extradition. Mr. Polonsky’s lawyer, Benson Samay, said Tuesday that he supported the court’s decision to charge Nikolai Doroshenko with breach of trust and that his client was demanding $800,000 in compensation. Mr. Samay also said that while he couldn’t speak for Mr. Polonsky, he had never paid the court in an attempt to influence a decision. “I do everything based on the law,” he said.